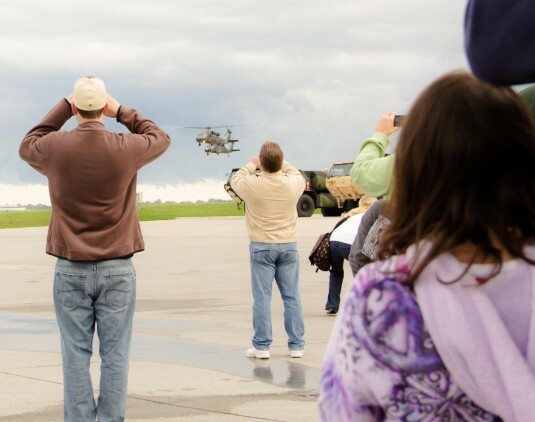 ROCHESTER-- Family members of 43 Soldiers assigned to F Co. 1-169 General Support Aviation Battalion watch as the unit's UH-60 Blackhawks make their final fly over on their way to Ft. Hood, Texas on Saturday, Sept. 29. The Soldiers, who fly medical evacuation helicopters, will train at Fort Hood before deploying to Afghanistan.The unit conducted a farewell ceremony on Sept. 28.